Visitors planning trips to the US state of Colorado for skiing and snowboarding will find a host of improvements and new amenities at resorts, along with expanded flight service into airports serving resort towns. Colorado gets more skiers and snowboarders each winter than any other state, with an estimated 12.7 million such visits last year. 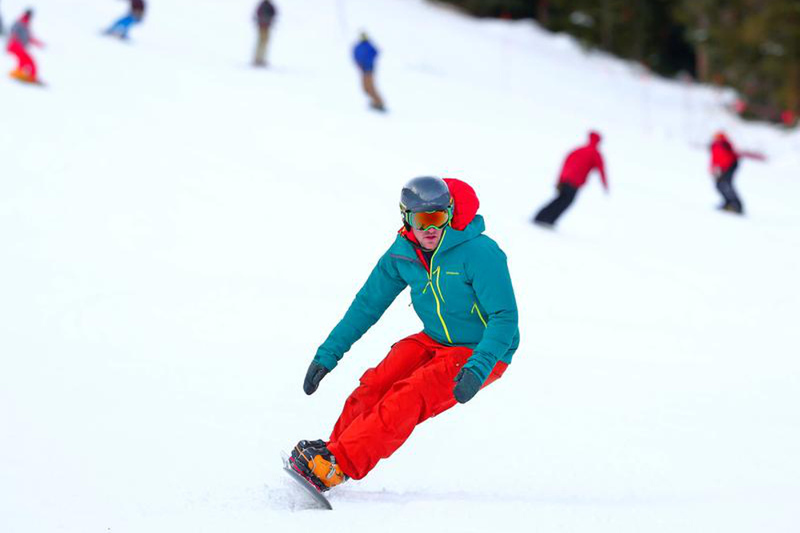 Changes at ski areas for this season include new chairlifts, terrain improvements, improved dining choices and better technology built into apps and lift tickets. For those flying to Colorado, there are new flight options from Chicago, New York, Los Angeles and Las Vegas, along with expanded service on existing routes from Chicago, Dallas-Fort Worth, Los Angeles, Minneapolis-St Paul, Newark, Phoenix, Seattle and Washington-Dulles. Non-stops to eight regional airports serving resort communities like Aspen, Crested Butte and Telluride have also been added from several cities around the country. And travellers can fly direct to Denver from Australia, Canada, Germany, Iceland, Japan, Mexico, Panama and the United Kingdom. Several early storms have already dropped snow in Steamboat, Telluride and other ski areas, and forecasters are predicting a snowy season is likely thanks to the El Nino weather pattern. Arapahoe Basin: New stage and music venue on the steps of a newly remodelled guest services centre. Aspen's Snowmass Ski Resort: High alpine lift replaced and realigned; snow-making equipment installed on two existing trails, along with other trail and glade improvements; new high-speed quad lift; Aspen Highlands' Cloud Nine restaurant remodelled. Ski Cooper: Expansion of Irish-themed pub, Katie O'Rourke's. Copper Mountain: Updated geo-targeted mobile application, Sherpa, which tracks user runs, speed and vertical feet, and now offers trail recommendations looking at previous user patterns; new Starbucks in Mountain Plaza building; new Mahi Fish Tacos restaurant in Centre Village. Crested Butte: New restaurant and bar at Ten Peaks area with deck and mountain views; new look and menu at WoodStone Grille. Loveland Ski Area: Main chairlift realigned. Monarch Mountain: New yurt for guest briefings and lunch in base area for cat skiing; expanded lodge space used by large groups. Powderhorn: New high-speed quad chairlift, the Flat Top Flyer, cuts ride time in half to six minutes. Purgatory: New high-speed quad chairlift taking skiers and riders to the summit in five minutes; terrain added, including two advanced trails west of the new quad. Silverton: Upgraded skis and boards in anticipation of deeper snow this winter. Sunlight: Remodelled restaurant interiors and upgraded power supply to chairlifts. Steamboat and Winter Park: Incorporating new RFID technology on lift tickets and passes so that they can be reused over multiple seasons and reloaded online or over the phone; ski passes may also now be linked to credit cards so guests can make purchases at resort restaurants, rental and retail sites without carrying cash or credit card. Telluride: New tower mounts for snow guns at Hoot Brown Park; updated Sno-Cat fleet.